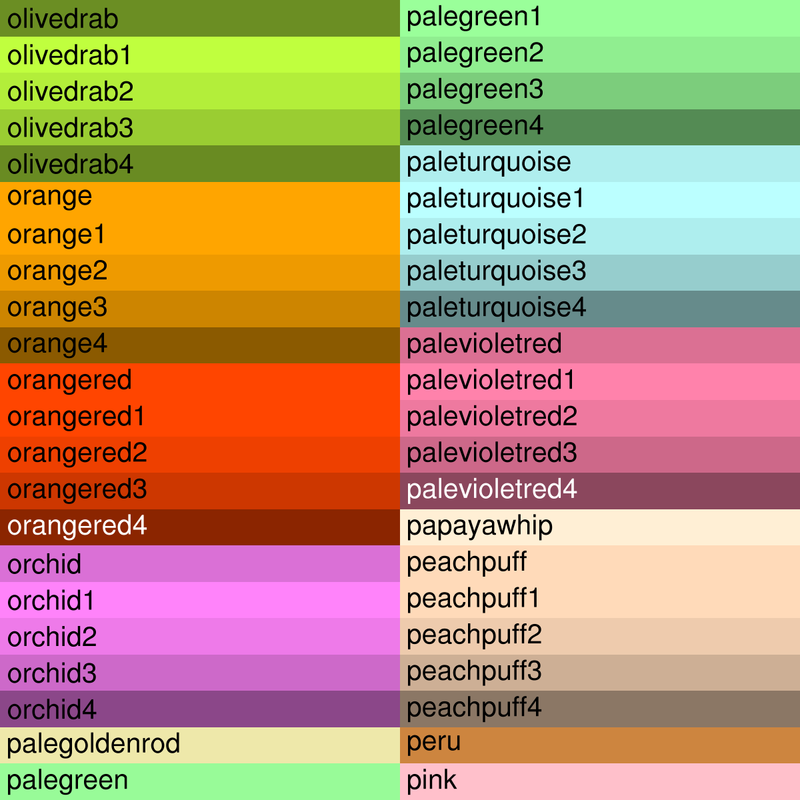 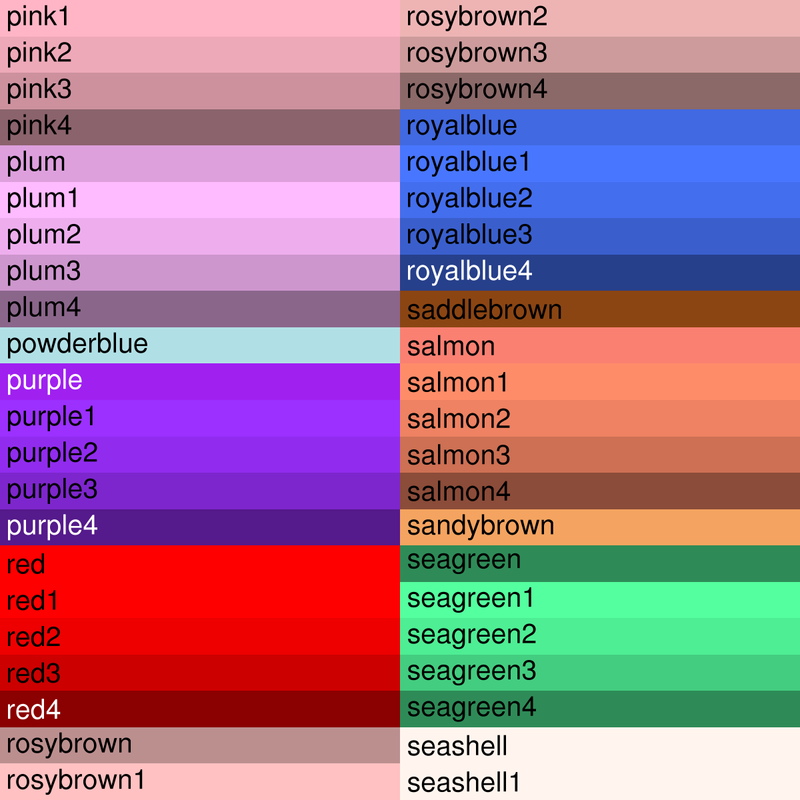 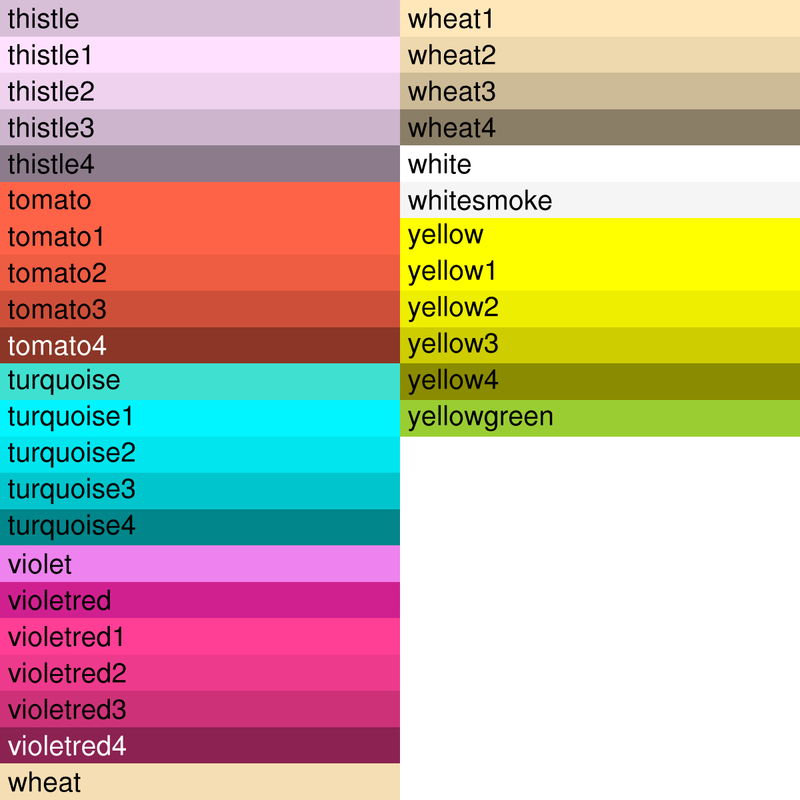 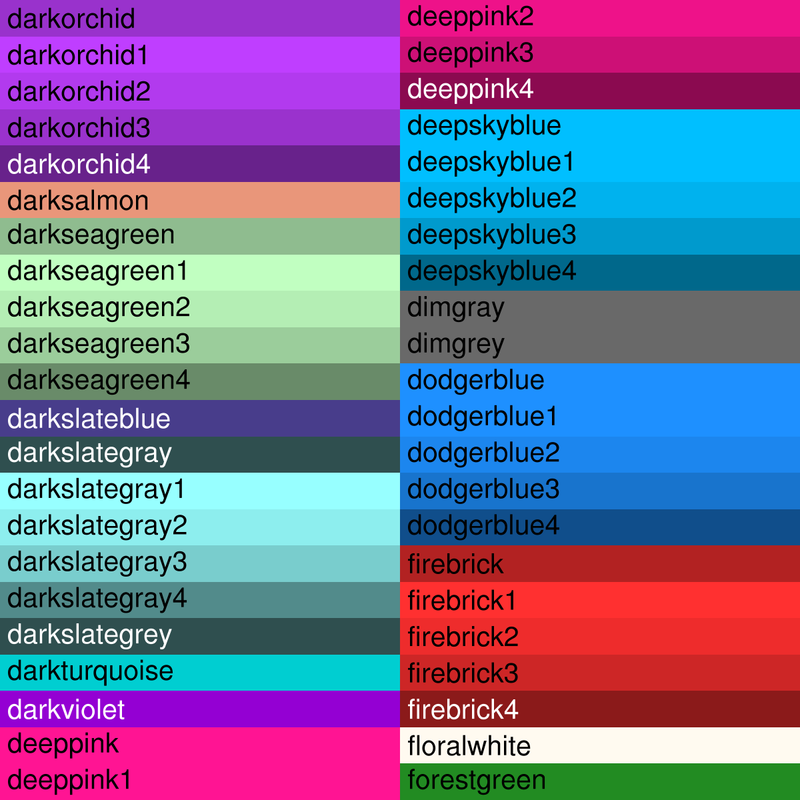 Named colors are colors with string names like "FireBrick" and "PapayaWhip" that have RGB triplets associated with them (see the file rgb.txt). 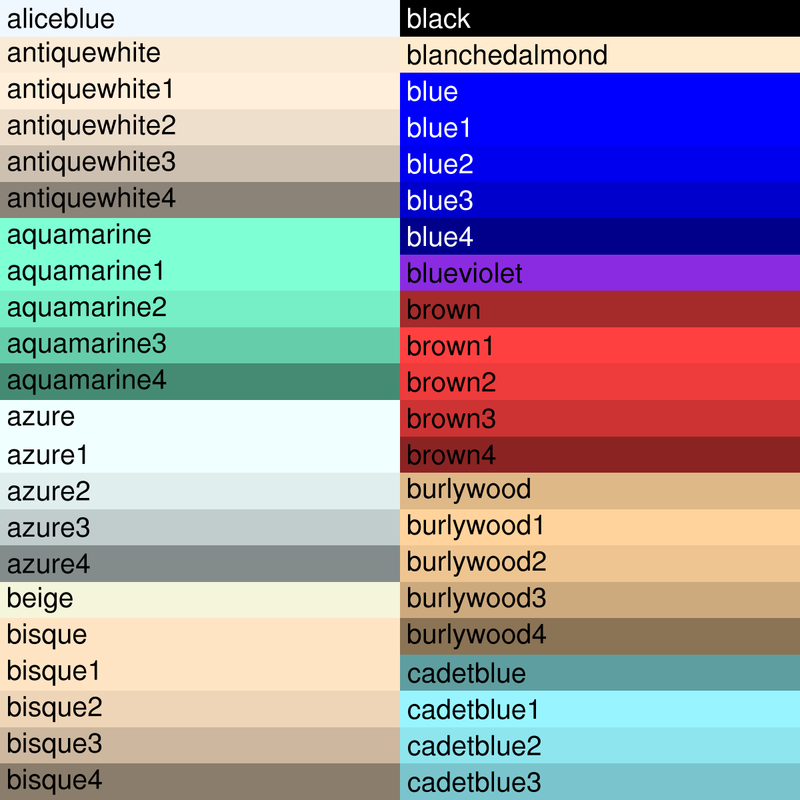 They can be used with any graphical resource that defines a color, or to create a color map (see the code snippets below). 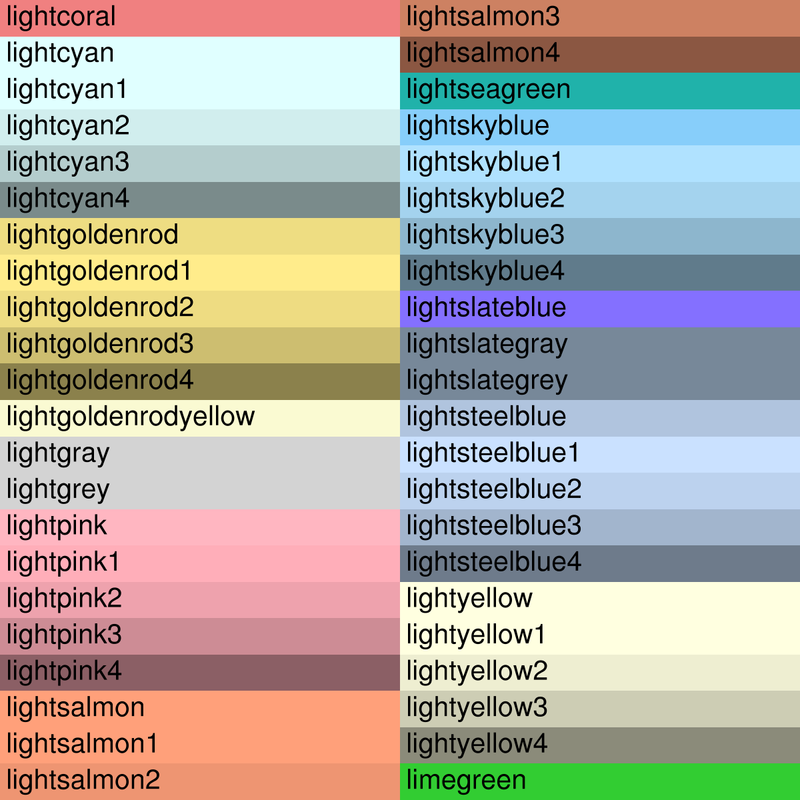 There are 650 named colors available in NCL. 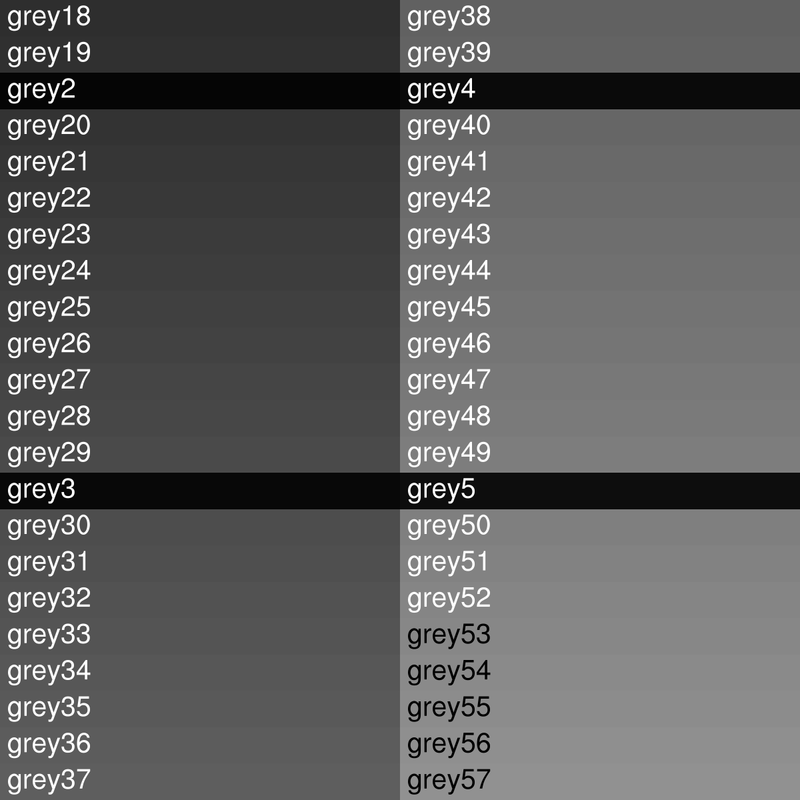 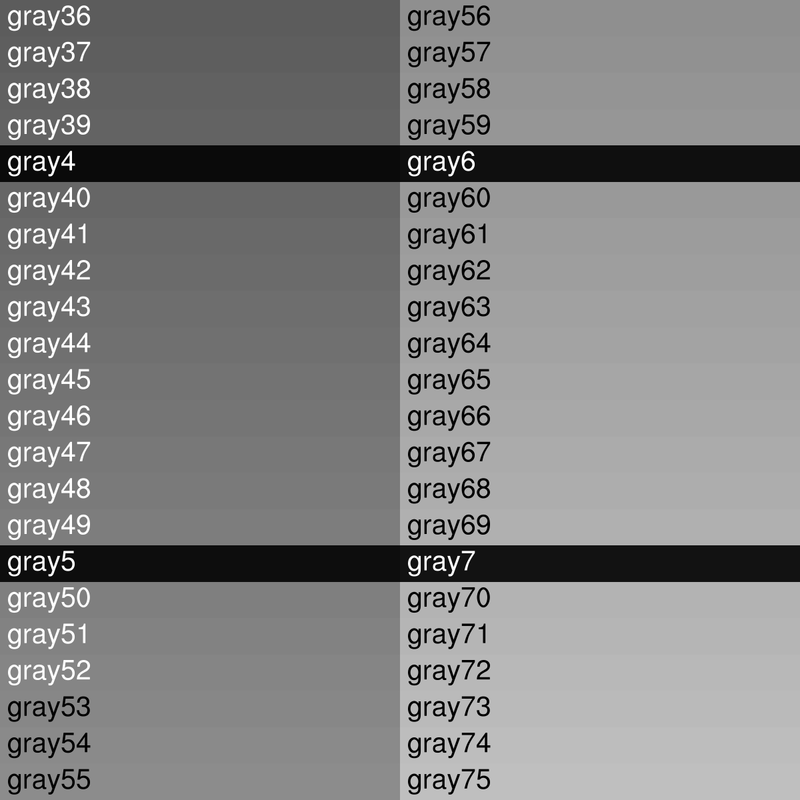 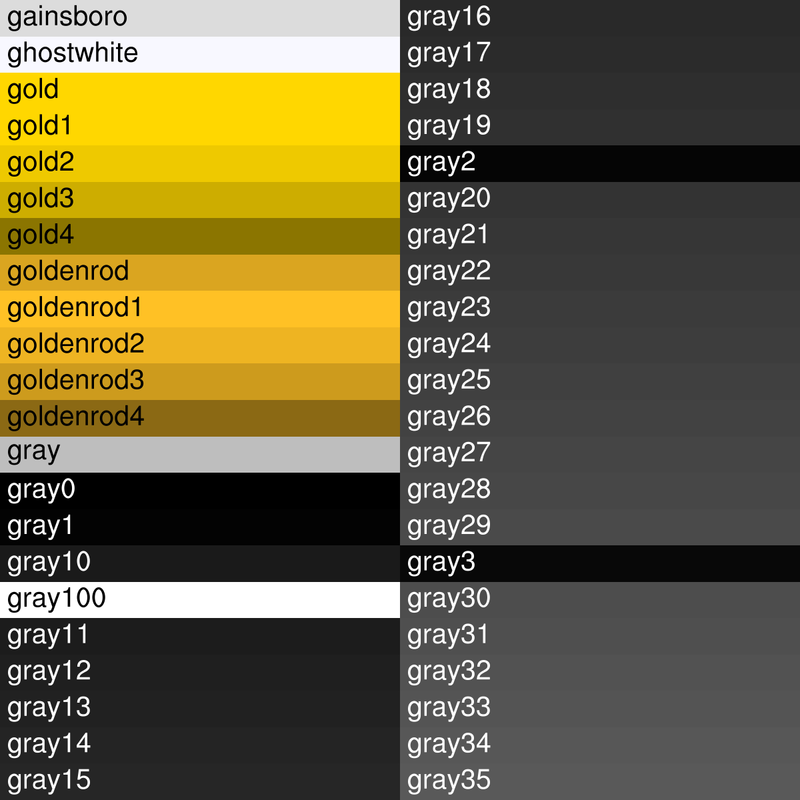 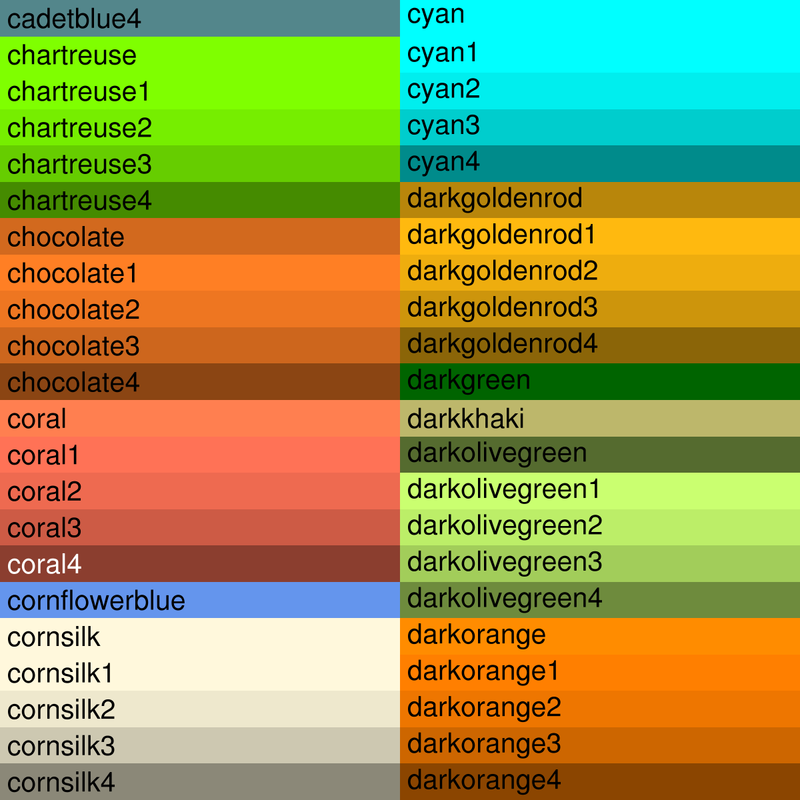 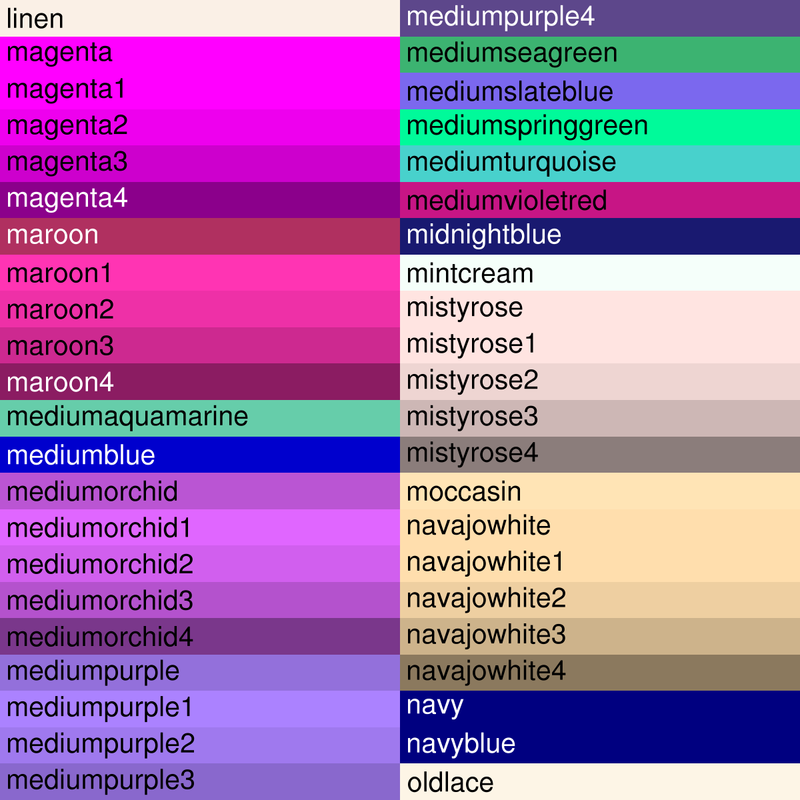 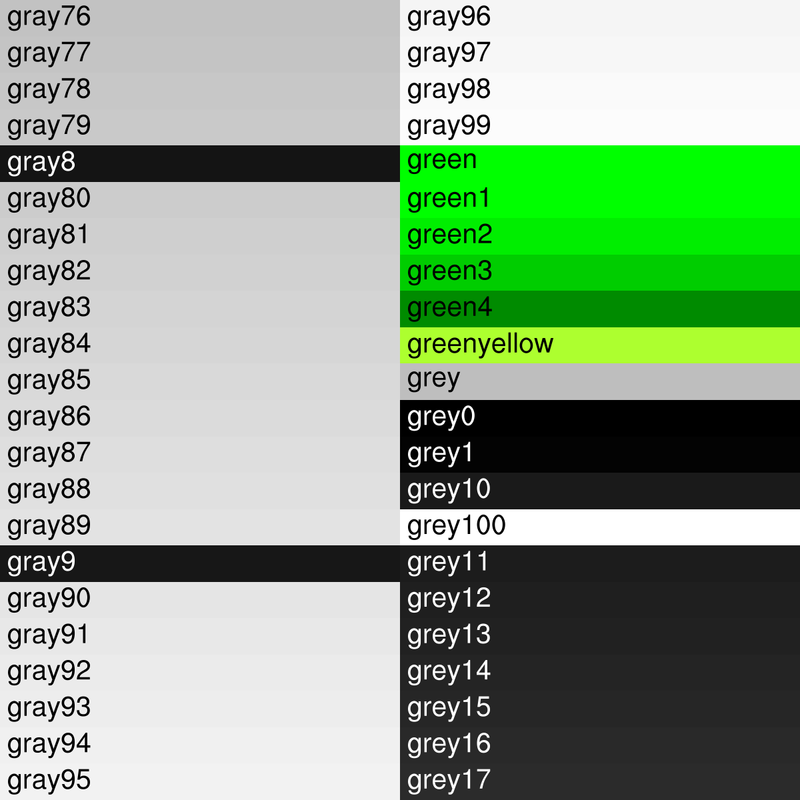 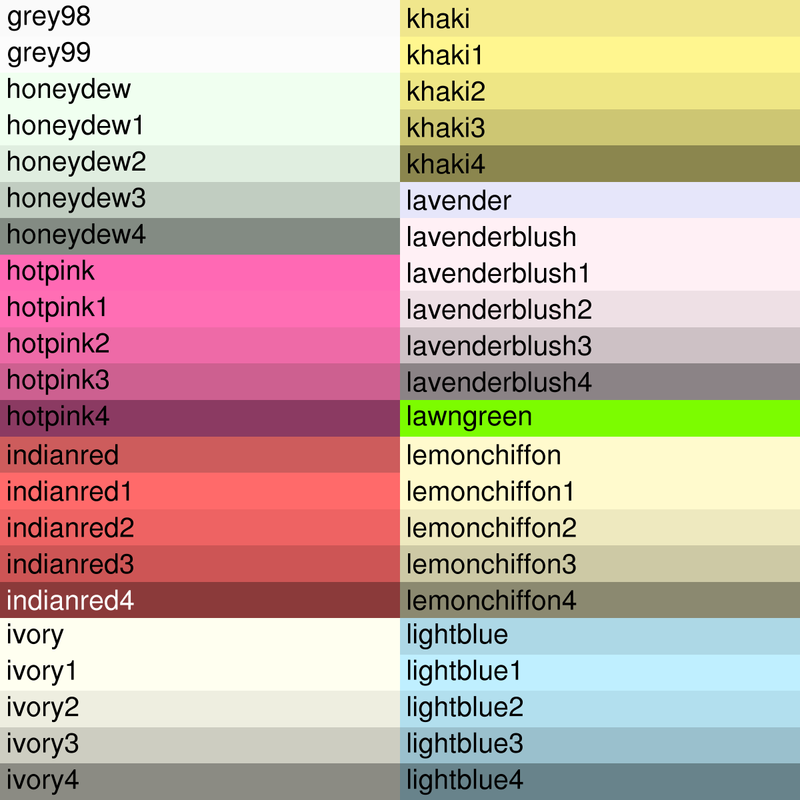 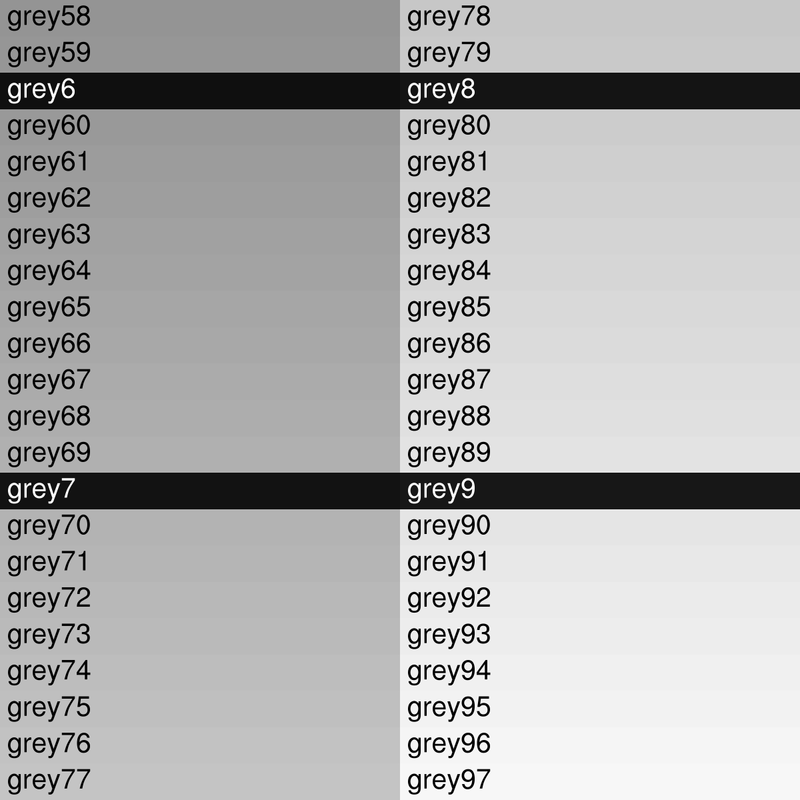 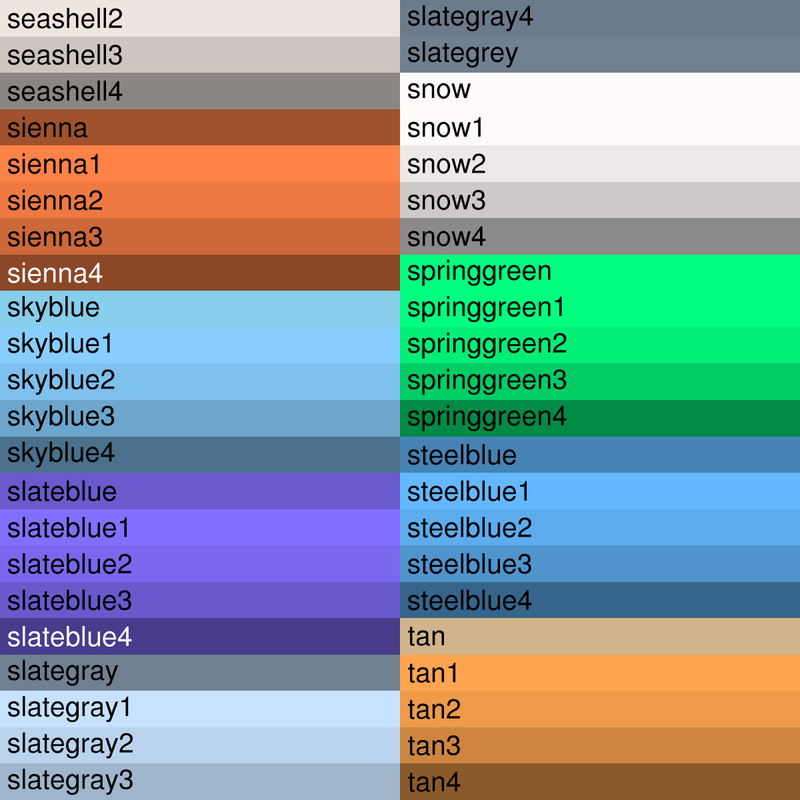 Note that some of the colors are duplicates, like "grey1" and "gray1".